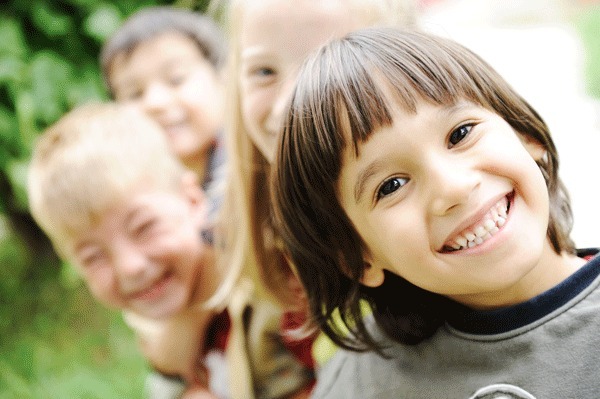 When should child dental care begin? A pediatric dentist will agree that regular dental care should begin by one year of age, with a dental check-up at least twice each consecutive year for most children. Some children may need more frequent evaluations and care. In accordance with this recommendation, the following dental checklist for infants and toddlers has been provided by the American Academy of Pediatric Dentistry. Clean the infant’s mouth with gauze after feedings and at bedtime. Consult your child pediatrician regarding fluoride supplements for toddlers. Regulate feeding habits (bottle feeding and breastfeeding). Follow the schedule of dental examination and cleaning, as recommended by your children’s pediatric dentistry. Generally, dental examination and cleaning are recommended every 6 months for children and adults. As your child learns to rinse his/her mouth, and as most deciduous (baby) teeth have erupted by this age, brushing with a pea-sized portion of fluoride toothpaste for kids becomes appropriate. Proper dental care of a child’s deciduous teeth (also known as “baby” or primary teeth) is very important as these teeth hold space for the future eruption of permanent teeth. If a baby tooth decay or is removed too early, the space necessary for the permanent teeth is lost and can only be regained through orthodontic treatment. An infected baby tooth can cause the permanent teeth to develop improperly resulting in stains, pits, and weaker teeth. Generally, thumb sucking before the age of two is normal and harmless. When thumb sucking is not stopped by the appropriate age (generally by the age of five) then parents should discourage the act. Prolonged thumb-sucking may contribute to crowded and/or crooked teeth development and bite problems. 3. Buy “fun foods” just for special times.